KRASNAYA POLYANA, Russia – There was no official medal ceremony at Rosa Khutor Extreme Park, but there was one rendition of the national anthem. 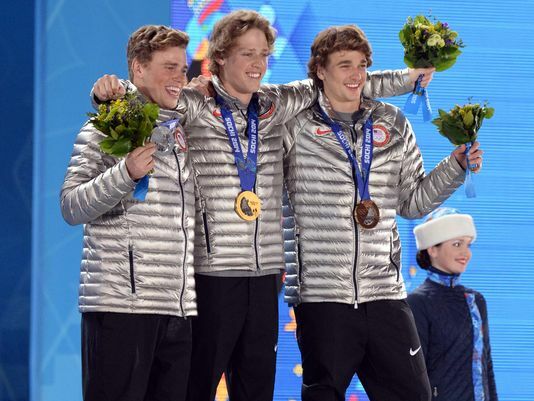 As America’s three ski slopestyle medalists made their way from interview to interview Thursday afternoon after sweeping the medals in the sport’s Olympic debut, a small group of U.S. fans began to sing. It was badly off-key, but it was a poignant gesture not lost on the athletes competing here who for so many years were told their sport was too extreme to be included in something as traditional as the Olympic Games. It’s hard to argue with that. Since the Games opened last week, Americans have won nine medals — five gold — in snowboarding or freeskiing events. That accounts for 75% of the USA’s total medal haul after Thursday’s events. Consider this 18-hour span at the Extreme Park, home to slopestyle, halfpipe, moguls, aerials and ski and snowboard cross: American women finished first, third and fourth in the snowboard halfpipe just before midnight. 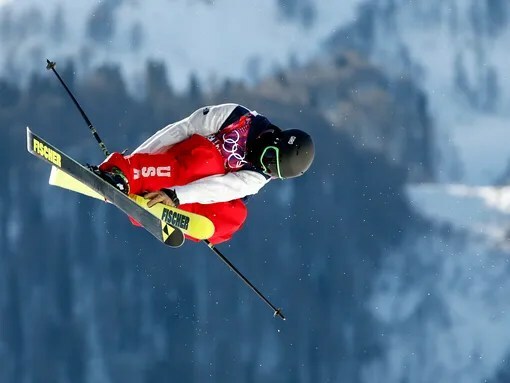 By midafternoon the following day, the USA had added three more medals in men’s ski slopestyle: a gold for Joss Christensen, silver for Gus Kenworthy and bronze for Nick Goepper. But maybe he should have. The Americans have deeper rosters of talent in most of the freestyle skiing and snowboarding events than any other country, which is exactly what Christensen showed in his surprising gold medal day. Christensen was the final man picked for the slopestyle team, and a controversial one, as he was in a dead heat with other skiers vying for that final spot. If not for a big win in the final qualifier in Park City in January, he would have been watching these Games on television from back home in Utah. But here he was, and he dominated, turning in three of the top four scores of the day (including the semifinals). He could have won gold and silver by himself. Kenworthy had the second-best score in the final, as he joined Christensen and Goepper in landing at least one risky triple jump. Teammate Bobby Brown also landed his first-ever triple during a qualification round but couldn’t stick it in the finals and finished ninth. Joss Christensen (USA) during the men’s slopestyle qualification of the Sochi 2014 Olympic Winter Games at Rosa Khutor Extreme Park on Thursday. “The jumps were so big that they were pretty effortless but definitely scary,” Kenworthy said. Scary, he said, because once committed to trying the triple there are only two outcomes — land it, or crash hard. Just last month, a triple was unheard of in slopestyle. Kenworthy and Goepper each hit one in the X Games in Aspen, Colo., becoming the first men to do it in competition. Christensen arrived in Sochi knowing he’d need one too, so he learned it this week, practiced it and nailed a switch triple 1440 — in which he takes off backward and flips three times while doing four full rotations — en route to gold. That Christensen hadn’t even tried his triple until this week might sound crazy to those in the traditional sporting sphere. It’s not crazy to freeskiers, who enjoy the creative and innovative side of their events as much as the adrenaline of trying the wildest tricks. “That’s what makes it so cool, is there is such this cool, creative element to what we do. It never gets stale,” Goepper said. You are currently reading Slopestyle sweep highlights American dominance of freestyle sports at ARE YOU NEXT.